The new Liberty Ciderworks tasting room opens to the public this weekend at 164 S. Washington. The hard ciders of Liberty Ciderworks have already been winning awards and served around town at places like LeftBank Wine Bar, Manito Tap House, the Flying Goat and the Bartlett — but today is long-awaited, because the tap room is opening to the public. 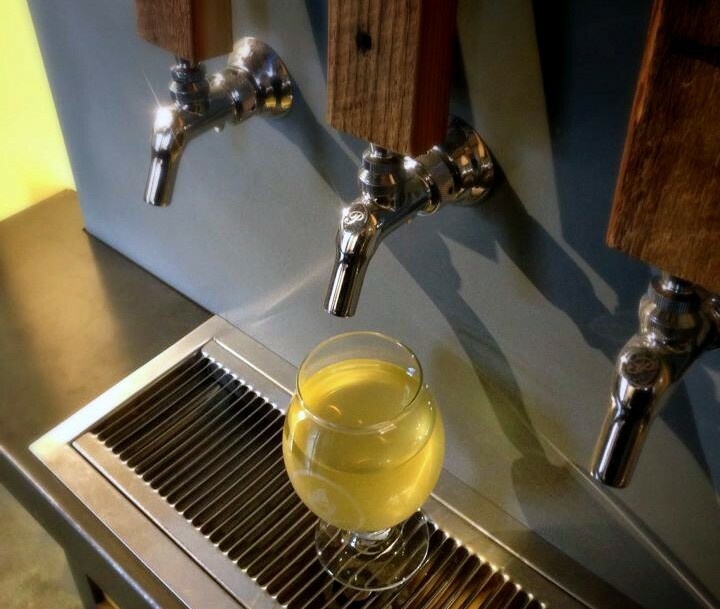 It’s not the only cidery in town, but it’s the first downtown cider tasting room. Visit at 164 S. Washington St.
Mi Casa, the new Peyton Building restaurant by the Volstead Act, is now open. The Hop Shop turns four today. 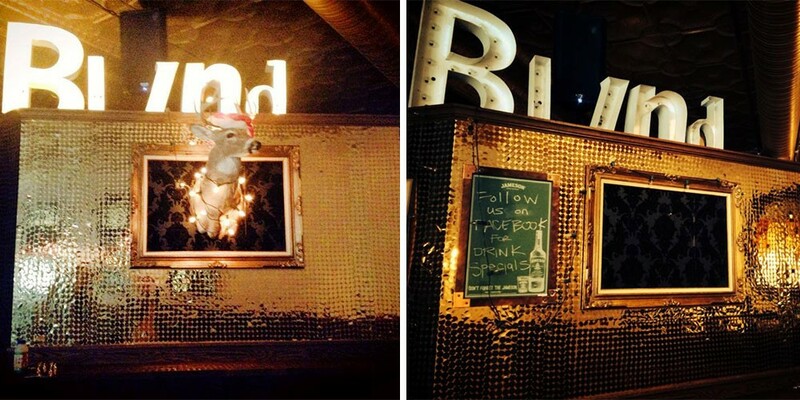 Do you really need a better reason to stop by and gift yourself a beer? Some inconsiderate person stole Jamaican Jerk Pan’s power cord. But also some good news — the Browne’s-based food truck is now making lunchtime forays to other parts of town, too. Some other inconsiderate person stole Mr. Buck from the Blind Buck. We inquired to made sure it wasn’t a belated April Fools’ prank, and it’s not. They filed a police report today and would really like him back for sentimental reasons and because it’s on loan from a friend. Left: Mr. Buck decked out for Christmas during happier days. Right: Today, Mr. Buck is gone. 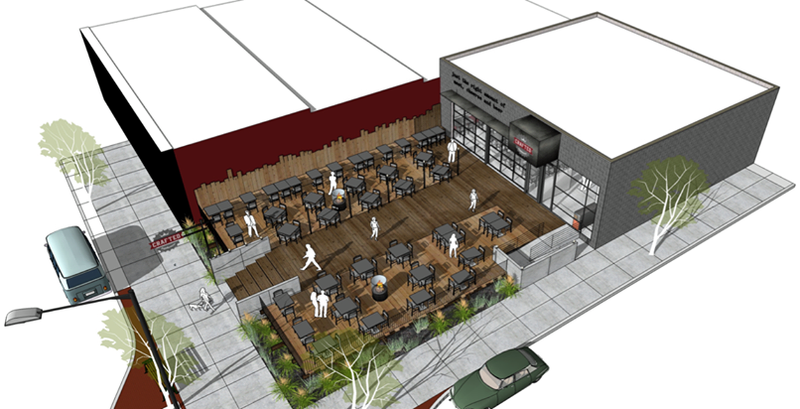 Also, this week’s Entree newsletter has more details about the new butcher shop at the Culinary Stone in Coeur d’Alene and the Fusion Flours expansion campaign. Crafted Tap House in Coeur d’Alene — 50 taps, full kitchen, massive patio — is getting closer to opening, and they’re hiring. Crafted Tap House is opening soon in Coeur d'Alene. If you want to help relief efforts for the mudslide in Oso, Wash., a couple of chain restaurants are doing related donations and promotions: Papa John’s stores are donating all profits today to the Salvation Army’s Disaster Relief Fund, and Pizza Hut locations are donating 50 percent of sales to the Red Cross. Panda Express locations are collecting donations for the Red Cross and the Tzu Chi Foundation — and matching them 100 percent — through April 21. First Friday is best known for the visual art and the music, but this month’s — happening tomorrow mostly from 5 to 8 pm — is a good one for food and drink, too. Sante is offering a five-course dinner menu with guest chef Taiki Hanamono from Yuzen Japanese Restaurant. River City Brewing is tapping a cask-conditioned firkin as “Liquid Art.” Barrister Winery’s reception includes a buffet from Beacon Hill Catering, Nectar Tasting Room will have a hosted tasting with Northwest Cellars’ winemaker Bob Delf and many of the other wine bars around town are doing tastings. Red Rolling Pin is hosting a sampling for Owl’s Brew, a tea mixer made especially for cocktails. See our full listings here. Would you like your child to become a prodigy chef? Start by being super rich.